It is no exaggeration to say that Michael Schatte (pronounced SHAW-tee) has emerged as one of the most compelling guitarists and singer/songwriters on the North American roots music scene. 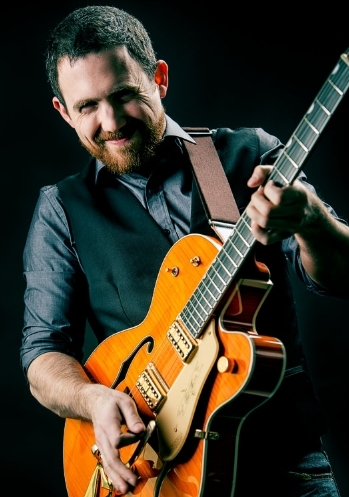 Since early 2015, when he was a top-eight finalist at the Memphis International Blues Challenge and performed at Tennessee’s historic Orpheum Theatre, Schatte has appeared on some of the continent’s best festival and theatre stages, winning new fans and a reputation for world-class musicianship by way of more than 200 concerts in Canada and the United States. Though Schatte loves the blues (and evidently does it well), it’s just one ingredient in what he calls Eclectic Electric Roots Music, a brew of original rock, blues, celtic, bluegrass, country and rockabilly he’s been writing, recording, and performing throughout his career.